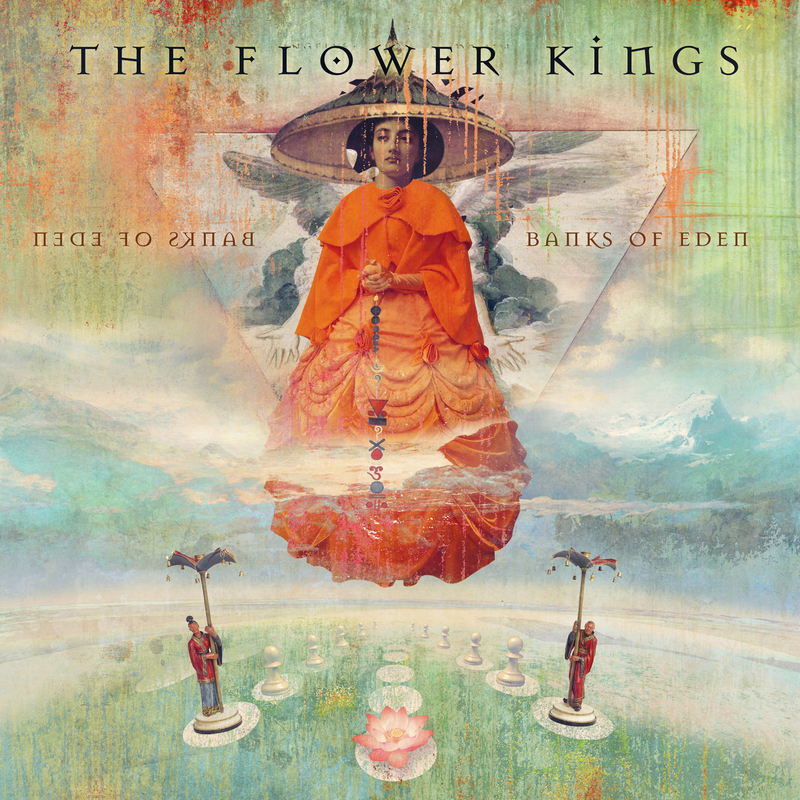 The Flower Kings are a 5 piece Swedish progressive rock band with very different backgrounds which all come together to create something quite different to anything you’ve ever heard. When they got together, they had no specific goals of what they wanted their music to sound like; they just wanted to play so that is what they did. If you’ve listened to The Flower Kings before, you probably won’t be surprised to read that the first track on the album, Numbers is a staggering 25 minutes long. To those of you who don’t really listen to much progressive rock/metal, long songs are pretty standard but this is something else. Those of you who follow me on twitter would’ve seen that the other week I had a rant about some prog songs that are about 8 or 9 minutes long seem to last forever. This doesn’t. Despite being 25 minutes long, it has a nice flow of ever changing music and vocals. Listening to it, you get that familiar vibe that The Flower Kings usually bring, with well thought out music and lyrics but there’s something different about this one; something I can’t quite explain (which is pretty useless as a reviewer, right?). This song is an absolutely beautiful start to the album. The next track, For The Love Of Gold, is incredibly uplifting and slightly more bizarre than the first. It’s also a lot more consistent – it sounds like exactly the same song the whole way through. My favourite track, however, is Pandemonium. It’s prog through and through. Fire up those synth... and get your weird voice changer out while you’re at it. It sounds as if it’s from space. Yes, really. The guitars also really shine on this one, shredding to the max. All in all, this is an awesome example of progressive rock. It’s really well balanced unlike some I’ve heard of this particular genre. A lot bands seem to over-do the synth, The Flower Kings have got it just right. I’ll admit, I was sceptical when I saw that the first song on this album was 25 minutes long but after listening to it, I think it’s just right. The Flower Kings – Banks of Eden is out now on InsideOut records and is available as: Special Edition 2CD Digipak, 2LP (+2CDs) & CD.